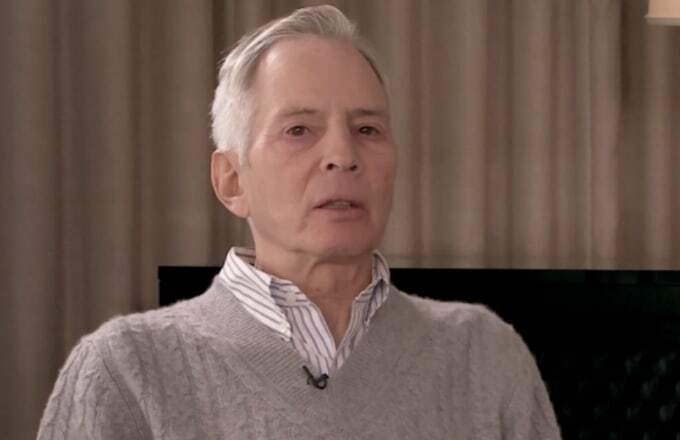 Robert Durst, the subject of the award-winning HBO docuseries The Jinx, will serve seven years and one month in prison after pleading guilty to a weapons charge. A federal judge approved the plea agreement on Wednesday, according to the Associated Press. Durst, 72, is still at the center of an unrelated murder charge in California stemming from the mysterious 2000 murder of his former friend Susan Berman. Durst&apos;s sentence stems from being caught carrying a .38 revolver after a felony conviction, an offense that could have landed him as much as 10 years behind bars and a hefty $250,000 fine. The handgun, according to the New York Times, was uncovered by local authorities in March 2015 at a Marriott where Durst was staying under a pseudonym. Worried Durst might be trying to leave the country, authorities arrested the infamous real estate heir just as The Jinx was captivating audiences across the country. As for the murder charge in California, Durst and his legal team maintain that he is innocent of any involvement in the death of Berman. "It&apos;s our purpose to &apos;clear the decks&apos; of anything and everything that would delay [Durst]&apos;s transfer to California so we can start preparing for trial in the Susan Berman case," attorney Richard DeGuerin told the New York Daily News in February. "Bob Durst did not kill Susan Berman and doesn&apos;t know who did, and he’s eager to go to trial and prove it." At the end of The Jinx, Durst was confronted about the similarities between an alleged letter from Berman&apos;s killer and his own handwriting. After denouncing his involvement once again, Durst made his way to the bathroom (while still on the mic) and famously uttered "What the hell did I do? Killed them all, of course." Durst, according to the AP, will most likely be moved to Los Angeles to make his case "by mid-August."